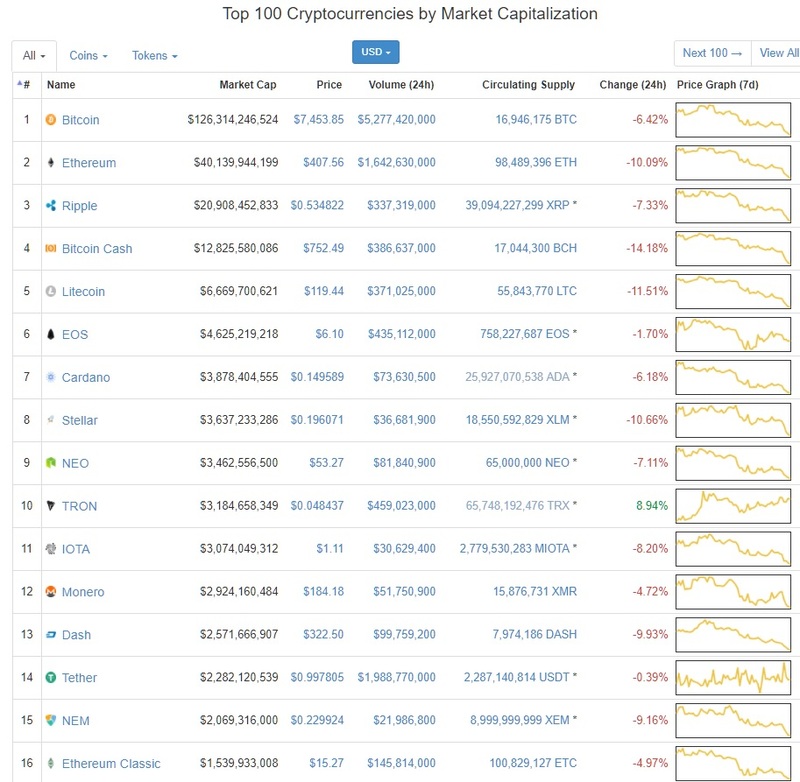 While not yet fully reaching recent lows, Bitcoin and other cryptocurrencies are showing signs of capitulation as once again the market is down across the board here on Thursday. 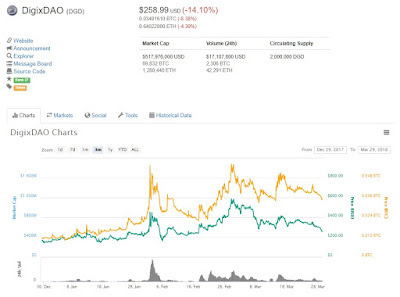 On March 29, the price of Bitcoin is down 6.7% to a touch near a four month low that was achieved around 10 days ago when the price fell to $7450. 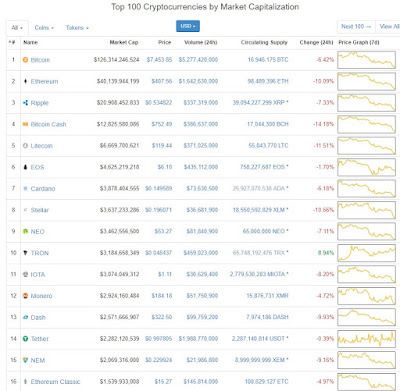 And the rest of the crypto market is also following suit as only two of the top 30 cryptocurrencies in market cap value are showing green today. Interestingly however, is how the strongest gold backed cryptocurrency is faring today since many times in the past it had bucked the trend when the overall crypto market had been in the red. While many analysts are pointing to the recent advertising bans by social media platforms as the catalyst for the industry's declines, it appears that there are even greater factors at work helping to drive down prices which may include liquidity needs for major owners (hedge funds), or a sustained effort by central banks to prop up their currencies. 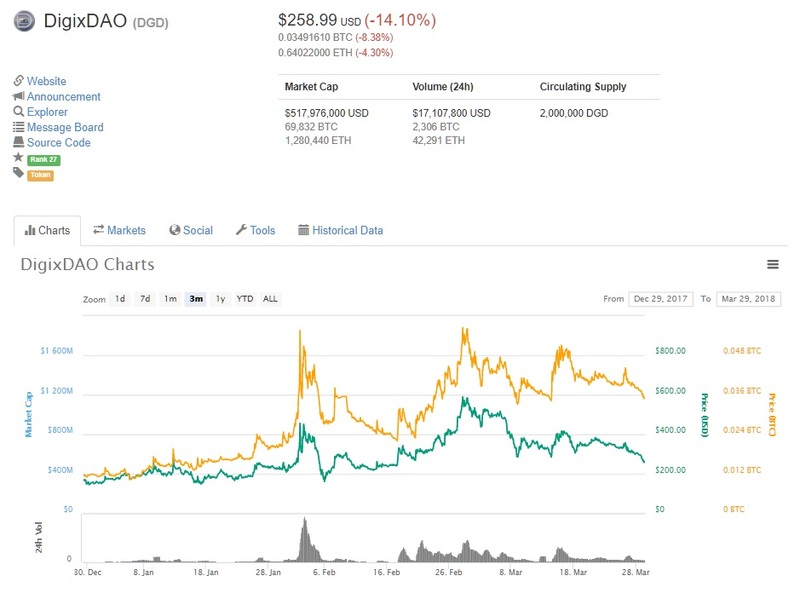 But no matter what the reason, the trend since January has been negative for the crypto industry as a whole and the charts are telling investors that they could go much lower before finally stabilizing in price.